*One Of ONLY 10 EVER Produced In Alabaster White over AMG Black Leather & Alcantara! 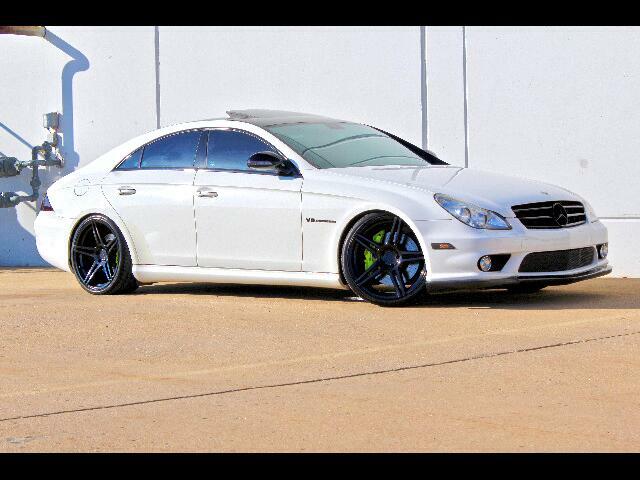 *The CLS55 AMG Was ONLY Produced For ONE YEAR ONLY! * This Is A Fully Serviced Extremely RARE & LOW Mileage Example With The Right Modifications, it Just Doesn't Turn Heads, This CLS55 Snaps Necks Everywhere It Goes! * Thousand I Professional Aftermarket Upgrades! Only 64,200 Miles! 100% Fully Serviced & Mercedes-Benz & Speedriven! Same OWNER For The Last 5-YEARS! *Serviced At Mercedes-Benz Dealerships, With Records-Receipts & I Literally Just Had It Serviced & Dynoed May 2nd 2017 at Speedriven! *FULL DYNO VIDEO ON SPEEDRIVENS WEBSITE! This CLS is A Well Known, Well Maintained Animal! *This CLS55 AMG Has Had a FULL Bumper To Bumper Warranty Up Until February of This Year, Anything It Ever Needed Was Covered Under Full Warranty! *Everything Has Been Inspected While The Warranty Was Active! *1 Of 10 EVER Produced in Alabaster White on AMG Black!